With this year’s launch of the new Same Explorer range came a host of features and innovations that lift the bar for tractors competing in the 85-95hp class. The new 85hp and 95hp machines combine the Explorer’s reputation for reliability, economy and performance with features often not found on tractors in this horsepower class, according to Peter Scott, national manager for Dan Cosgrove Ltd, Same importers, and sole distributors in New Zealand. "Same has repeated the same feat it did almost 20 years ago with the original Explorer series. Then, they introduced a machine that was ahead of its competitors. It was very frugal on fuel [in fact, it set a world record for the lowest consumption], had an excellent power-to-weight ratio, and featured several patented pieces of technology, including an integrated front linkage and PTO system and four-wheel braking." Twenty years on and many of the world’s tractor builders caught up with some of Same’s original innovations. Yet, even today, the original Explorer can hold its own against some competing brands, says Scott. "Once again the latest model Explorer is full of features you would not expect for a tractor in this class, bringing a whole new level to operator expectations." The new model easily combines the demands for quieter engines and lower emissions with the new liquid cooled constant torque Euro II engines. These new engines designed to meet the toughest regulatory demands are exceptionally quiet, perform well due to high constant torque levels and in the current situation of record fuel prices are like their predecessors – extremely frugal. The New 1000 series engines feature an electronic engine management system, providing strong, even power response through the rev range. Operators will appreciate the fuel savings that go with it, says Peter Scott. A digital dash ensures excellent accuracy in matching PTO speed with ground speed for precision applications, as well as providing other critical information at a glance. The new Explorer features a 45 x 45 speed transmission. Importantly, this includes 15 speeds in the critical four to 12kph working range. 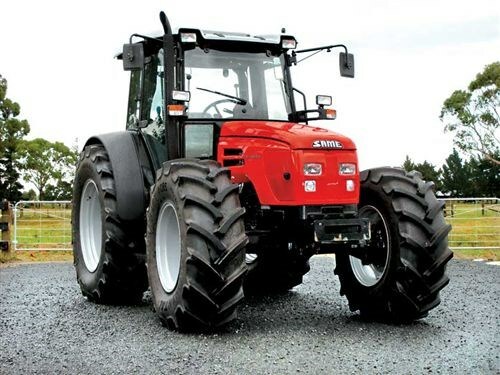 This is considerably more than those offered by the nearest competing tractor in its class. The transmission configuration provides excellent overlap across the medium range, ensuring even ground speed while shifting on the move. A three-speed power shift as standard puts the Same ahead of all competitors, with 15 ratios in each range. 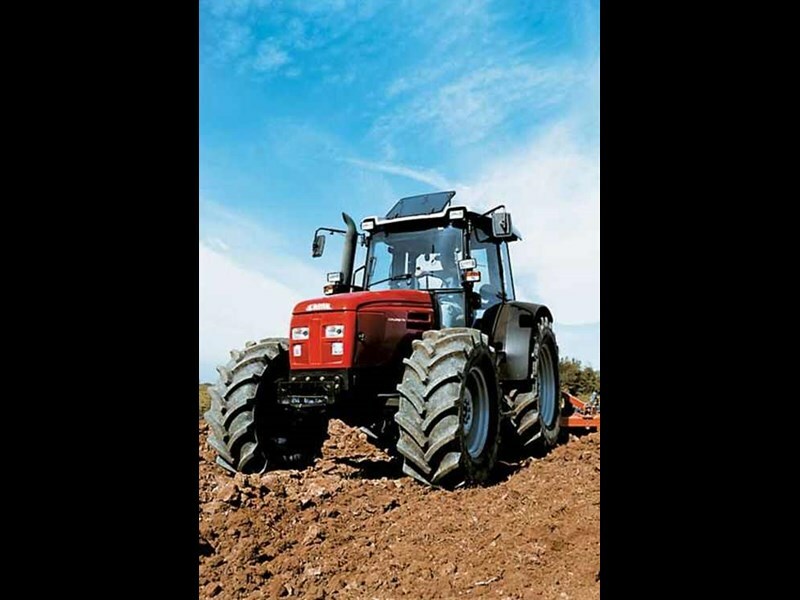 The transmission in the new Explorer range certainly ensures that regardless of the operation being carried out it provides excellent flexibility and productivity whether the tractor is used for transport cultivation or harvesting duties. Another important feature is the modulated wet-clutch/power-shuttle. The oil-cooled clutches that ensure the durability of the transmission clutch are also electronically modulated. Ensuring that regardless of operating conditions the direction changes and start off are as smooth as possible. The Explorer is a flexible workhorse for multiple applications. It features a four-speed PTO, and its ability is enhanced with four remote hydraulic couplings as standard, complete with a joystick control. Hydraulic flow is very good with a 54-litre/min flow to the remotes and rear hydraulic lift is rated at 4800kg. 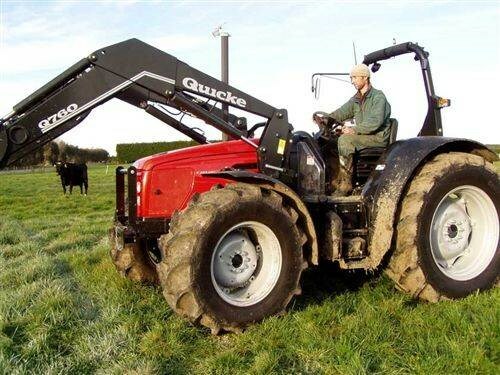 Fitted with a front-mounted PTO and lift, the Explorer is capable of handling 2000kg of front implement, to lift machine and operator productivity. The massive 160-litre fuel tank again puts the Explorer at top of its class for productivity and reduced down time. Twenty years ago, the first Explorer offered a patented independent front-wheel braking system, one of four patented designs on that machine alone. The latest model is still the only one in its class to offer this feature, Scott says. For added safety and operator comfort, the Explorer can be up-spec’d and equipped with traction control that automatically controls engagement and disengagement of the front-wheel drive and both diff locks. 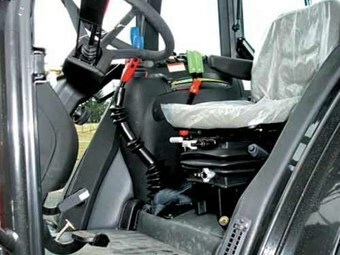 A completely new, ISO mounted cab gives the operator comfort, visibility and safety as priorities. European noise standards are easily met and surpassed across all operating ranges. The Same Explorer offers a high-performance air conditioning system and a high-visibility glass roof hatch. 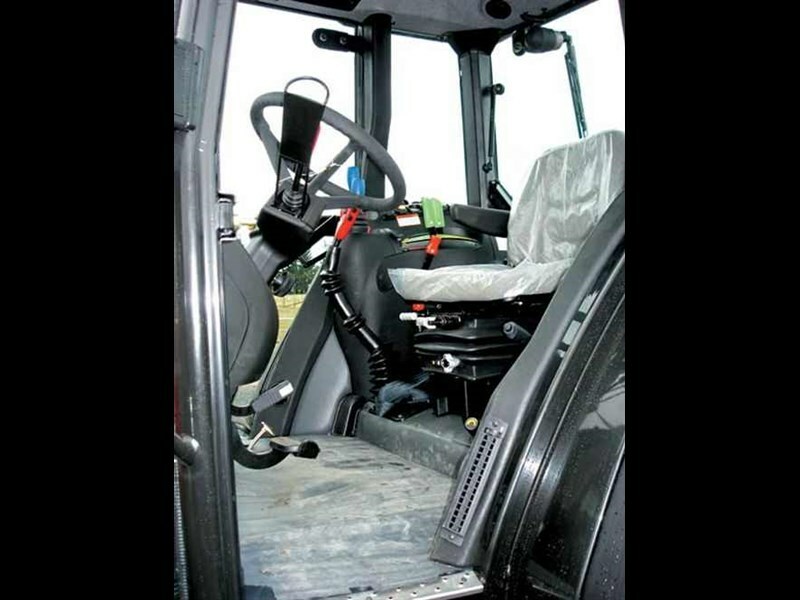 With its excellent line of sight through the hatch the Explorer gives operators the confidence to handle high loads safely when using a front-end loader. "We are extremely excited about bringing the new Explorer to kiwi farmers and contractors. This is a machine that has surpassed everyone’s expectations due to its performance, operator comfort and excellent specification level. We have a good number of machines now working around the country in a wide variety of applications."